Careers in technology only look more promising as time goes by. The World Economic Forum predicts that, over the next several years, Computer and Mathematics jobs will experience massive growth worldwide. This applies to information technology, finance, and even entertainment. Do Ba Duc, co-founder of Tokyo Hackademics and CEO of Tokyo Techies, is a shining example of how a background in computer science helps break down doors and generates opportunities. Born and educated in rural northern Vietnam, Duc went on to work for Japanese tech giants like Rakuten, SoftBank, and LINE. With twelve years of experience working in the industry, Duc now runs consulting and tech training center Tokyo Techies. Tokyo Techies is headquartered in Tokyo’s busiest commercial area, the Minato Ward, and recently earned its place as 500 StartUps Kobe Accelerator. It’s been two decades since Duc’s first coding lesson. Today, Duc is a passionate advocate for computer science skills and Vietnamese students in Japan. Vietcetera spoke with Duc as he reflected on his career, teaching budding techies, and immigrating to Japan. Do Ba Duc, co-founder and CEO of Tokyo Techies. Tell us how you first started programming. I started learning with much reluctance. When I was fifteen and taking high school entrance exams, chemistry by far the most popular. Everyone aimed for that specialization and so did I. Though I put down computer studies as a second choice, I didn’t think there was much of a future for me in the field. But I didn’t make it into chemistry, and so I went into computer studies. I remember attending the very first lessons with some disappointment. Not long after, I fell in love with the subject matter. While others would play games, I would immerse myself in my code. I didn’t have a computer at home so I wrote them down on paper, perfecting every comma. The “failure” of not getting into Chemistry opened up my two decades’ worth of fascination with computers. I’m glad things worked out the way they did. Walk us through the career milestones that led you to the inception of Tokyo Techies. While majoring in Information Technology at Hanoi National University, I earned a scholarship from a Japanese businessman interested in the development of Southeast Asia. All I had to do was learn the basics about Japan—where it was on the map, and some basic Japanese language. A year later, I was invited to technology showroom CEATEC JAPAN. There I reunited with my scholarship granter out of the blue. He eagerly pitched me his new startup and offered me a chance to work there. I came to Japan after graduation and helped him build the company until he sold it three years later. My time working for the startup left me with a sturdy technical background and a close relationship with my former scholarship granter. After that company’s acquisition in 2010, my ex-boss referred me to Rakuten. Starting in a technical role, I was sent on training in the U.S and came back as a team lead. I spent a total of 5 years in Rakuten before moving to LINE. Not long after, SoftBank made headlines by investing $60 million dollars into a joint venture with China’s Alibaba Cloud, and I was came in for that project as its first technical manager. When the business started profiting, I became weary of following in others’ footsteps. I craved for something of my own. I decided to draw on my lifelong passions—teaching and education. That’s where Tokyo Techies came in. 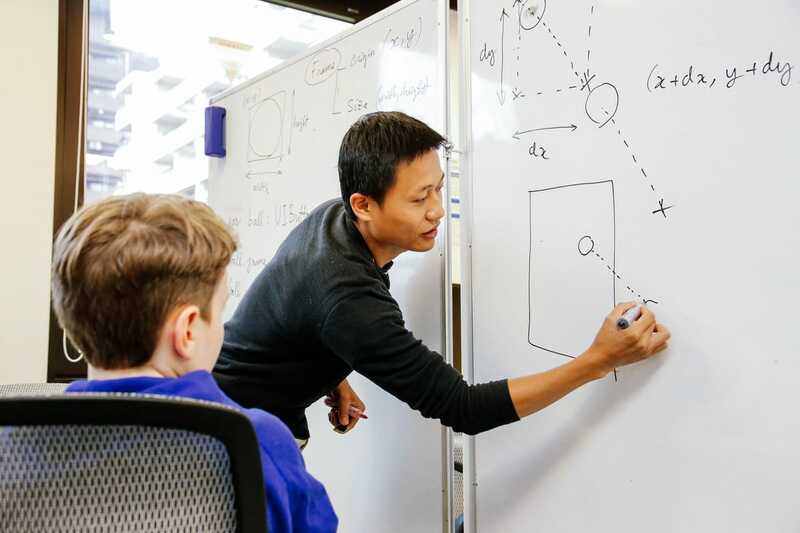 Through his teaching career, Duc understands the uniqueness of each learner and pushes for a customized learning method that works for the individual. What are your key takeaways from your years at giants like SoftBank, Rakuten, and LINE? Based on my experiences in the corporate tech world, I came up with a three-step guide to dealing with new challenges or environments. The steps are collision, improvisation, and thriving. Collision happens when you first come into contact with a new environment. It almost guarantees a struggle, and that’s okay. For me the hardest aspects to a new environments have always been language and culture. I started working in Japan with low-level Japanese skills. After years of practicing Japanese, I moved to an English-speaking company, and had to start all over again. Improvisation is the process of identifying and implementing changes in your methods so you may thrive anywhere. Trial and error is normal. Lessons are everywhere—in every report, negotiation, and handshake. When you fail, you learn, and you can better to adapt to your environment. Thriving is what comes after you’ve learned your way around your biggest problems. You take newfound knowledge and use this to navigate your next step. For me, the most important component of my thriving has been the very organic network I’ve built over the years. I draw on my network for help, and give help freely. The CEO is now working more, earning less, and much happier. What inspired you to give up your technical job and start teaching? My parents were teachers, so it was a natural career choice for me. I’ve also tutored many people in my life, including my wife. I like to feel that I’ve grown wiser than before I began, but nothing beats seeing others grow. In the early days of my teaching gigs in Japan, I met with some Vietnamese-American graduates from Harvard and UC Berkeley who later became my partners at Tokyo Techies. We worked part-time at a tutoring center purely for the joy of it, and went on to organize Tokyo Hackademics together. 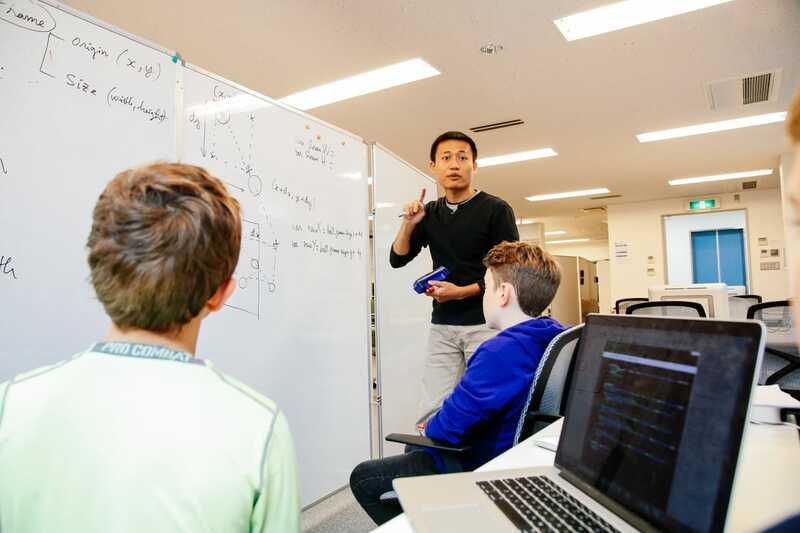 These were the first education-focused hackathons in Japan. They challenge passive problem-solving methods which are so commonly found in schools. Our participants loved them. In 2017, we founded Tokyo Techies. Where we began with only three tutors, we now have fourteen experts on programming, data science and information security. Our business model has proven sustainable. I’m working more, earning less—for now—and am much happier. That would never have happened if not for my persistent partner. Duc on his way to empower a tech population in Japan. Despite being established and run by foreigners, how did Tokyo Techies make it in Japan? We as expats understood that the Japanese adore homegrown brands and rarely want to take classes in English. If we targeted middle-income customers, we could never compete with Japanese schools. Instead, we decided to target premium customers. After all, we’re headquartered in the busiest commercial area of Tokyo. 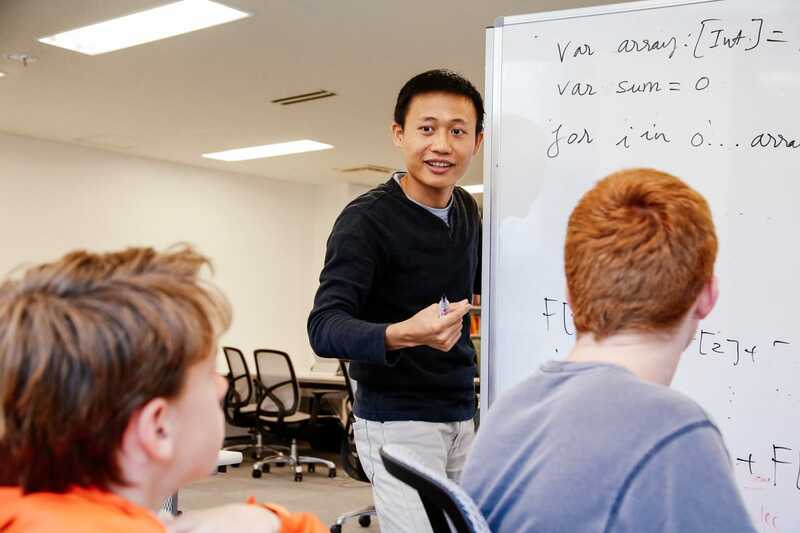 We hire tutors from world-leading tech institutions and companies. And so, our industry-experienced mentors and an English curriculum become our distinctive advantages. Just like we would guarantee the quality of our product as engineers, we as mentors promise to meet the learning expectations of our students. This is how we succeed. What vision do you have for Tokyo Techies? At the 500 StartUp Kobe Accelerator, we called the future of Tokyo Techies “personalized training”. We understand the uniqueness of each learner and push for a customized learning method that works for the individual. We also provide consulting services to companies and end-users to help them deliver specific products or achieve certain results. Looking ahead, we foresee great potential in talent acquisition. The hiring scene in Japan is amazingly candidate-driven for tech majors, people we actively work with. Ultimately, we want to help build up quality human capital in Japan and Asia at large. “Nothing beats seeing others grow”, said Duc, the teacher and entrepreneur. How can we best prepare the Vietnamese workforce for a future of automation? I suggest we not rely on changes in official education to better the workforce. 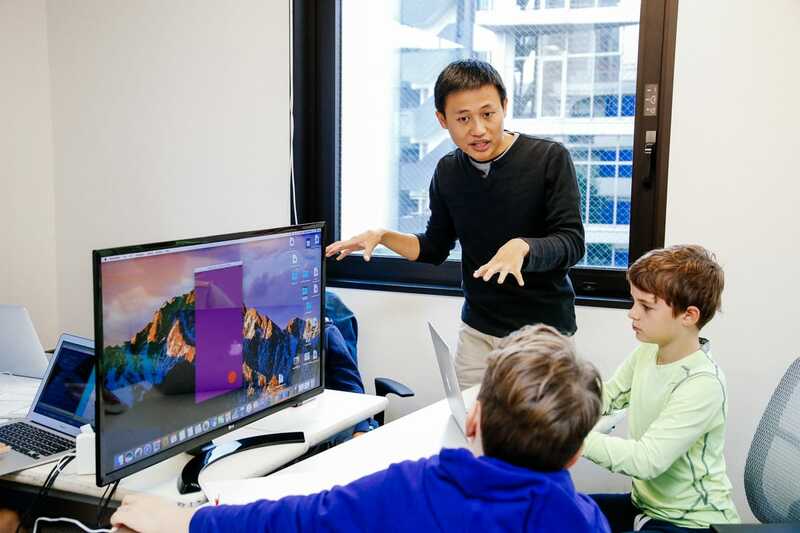 Not many states in the world, including Vietnam and Japan, can vamp up their education systems fast enough to keep up with the speed of technological changes. Companies like ours treat this fact as an opportunity. I see that with the growth of the internet and the diversification of learning institutions, young people today are empowered to take personal development into their own hands. People have the tools and resources at their disposal, and they should use them. Finally, young people should absolutely apply to scholarships. And if you’re a company, you should get to know young people locally and give out scholarships. Today’s students will change lives later on. They will be the ones to navigate an automated world. You should talk to any speaker at the recent Viet Tech Day forum in Tokyo. Most of them are good friends of mine. Dao Ngoc Thanh, Product Director at VNG Corporation, and Dao Thanh Binh, a veteran at Rakuten, can both elaborate on the tech enterprises I admire greatly. If you’re looking for a woman-in-tech figure, designer Paya Do has an interesting profile. Her company Mercari was recently listed as Japan’s first unicorn.